The Alberta Media Arts Alliance Society (AMAAS) serves media artists and organizations in Alberta. Founded in 1991, amaas provides communication, advocacy and educational networks to its members. AMAAS provides direct member services including webhosting, an annual conference, workshops, publishing, awards, sponsorship and artist commissions. Now, and since its inception, AMAAS is governed by a volunteer group of directors, all representatives of the media arts. Alberta Media Production Industries Association (AMPIA) is a non-profit professional association incorporated in 1973. At its inception, its mandate was to support the independent motion picture industry as a viable economic and cultural force within the Province of Alberta. Since that time, the media industry in Canada and the world has changed dramatically and AMPIA continues to play an important role in the media production industry in Alberta. AMPIA is governed by a volunteer Board of Directors, elected at an Annual General Meeting. AMPIA’s primary role is representing our membership throughout the province, disseminating information, providing professional development opportunities for members, marketing on their behalf and seeking avenues towards increased funding for the development and production of media projects in the province. The organization also strives to foster an environment in which Albertans can create content reflecting our point of view to Albertans, to the rest of Canada and to the world. 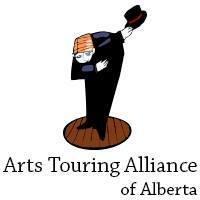 The Arts Touring Alliance of Alberta is a membership network comprised of artists, community presenters and agents who identify and share common concerns and strengths. Since 1993 the ATAA has been dedicated to the maintenance, development and growth of a strong touring arts industry in Alberta. We focus on services and programs that promote and nurture arts touring, and provide networking opportunities and access to professional development. The ATAA represents and promotes touring arts to industry partners, arts and service organizations, the media, and all levels of Government. The Canadian Country Music Association (CCMA) is a membership-based, not-for-profit organization committed to the promotion and recognition of Canadian country music. Built upon the foundation to educate, elevate and celebrate Canadian talent, the CCMA progressively heralds the spirit, community and creativity that country music fosters. It can be said that music is the very soul of this country, and reflects the true identity of Canada. As the country genre evolves to embrace new styles, it is reflecting new versions of our Canadian identity, as well as our heritage. Country Music Week and the Canadian Country Music Association Awards continue to be a celebration of the music and the artists that represent our unique culture.